100% flake-free hair that's healthy and beautiful too. 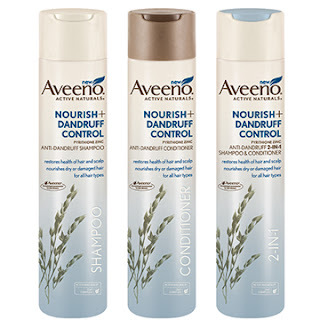 Introducing AVEENO® NOURISH+ DANDRUFF CONTROL, a new hair care collection that immediately soothes dry, itchy scalp while nourishing every strand with exclusive ACTIVE NATURALS® Oat Complex. Available in a shampoo, conditioner and 2-in-1, this hair care collection does much more than just treat dandruff, it actually restores the health of both hair and scalp. Try it and indulge in clean, silky, healthy-looking hair that's soft to the touch! From the AVEENO® brand, the leaders in ACTIVE NATURALS® ingredients for healthy-looking skin and hair. Try it for yourself with a $3 off digital coupon! I am a member of Smiley360! Its a FREE site that lets you try new products. These trials are called missions. This has been one of the best missions I have been involved with! I received 2 coupons for a FREE FULL size Aveeno product! My family and I have been using Aveeno 2-in-1 for over a week! Everyone LOVES it! I like that it cleans my hair and makes it feels so soft and clean. My boys have had a problem with dandruff since they were little! They love the Aveeno and their dandruff is GONE! Their scalps are nice and soft! We will be using Aveeno from now on! My daughter has longer hair and is always putting products in her hair. The Aveeno washes all that gunk out of her hair and leaves it fresh and clean! 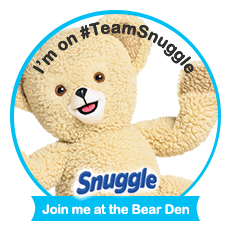 Thanks bunches Smiley360 team! disclosure~ I received free products in order to write this review from Smiley360.com. That has no bearing on my review. I am not required to write a positive review.